Eco friendly womens clothing doesn't have to be boring! 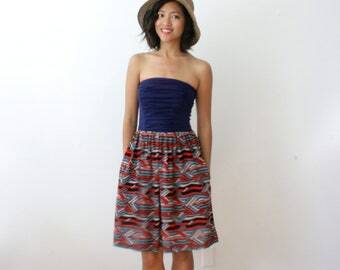 This 100% upcycled silk skirt is made from a vintage saree. It features a romantic aline cut with a sweet ruffle hem. 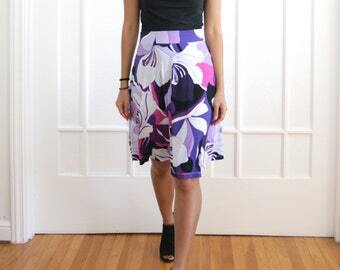 Available in 4 different prints, these skirts are easy to take from Summer to Fall. These romantic ruffled skirts are made with upcycled 100% silk saree fabric. 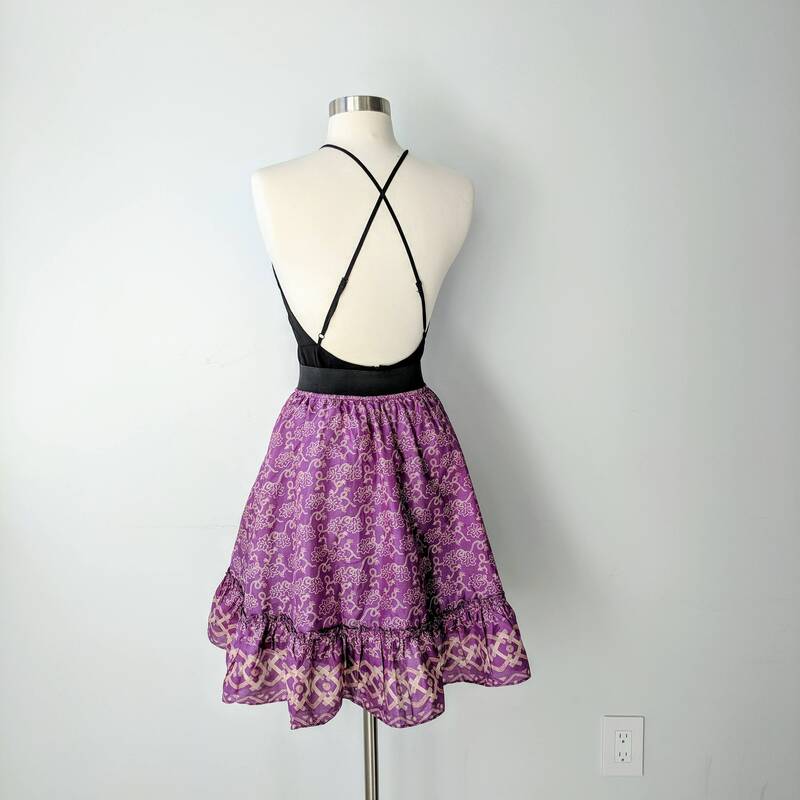 Pattern placements may vary between skirts and there may be some textural imperfections. We recommend dry cleaning.